Boston loves its rock ‘n’ roll! 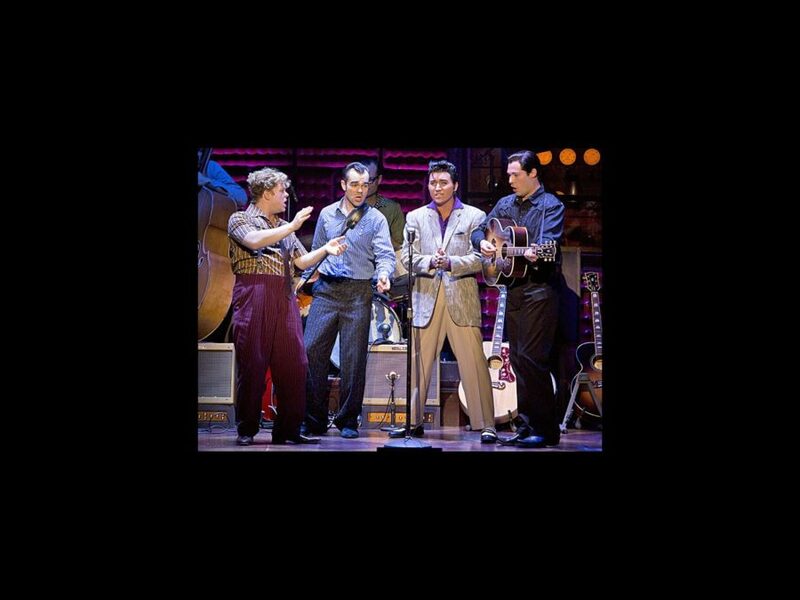 The national tour of Million Dollar Quartet is shaking the Citi Emerson Colonial Theatre with the hits of Elvis Presley, Johnny Cash, Jerry Lee Lewis and Carl Perkins, and critics are singing its praises. The musical is inspired by the momentous recording session that brought the four icons all together for the only time in their careers. The show features the classic hits “Blue Suede Shoes,” “Great Balls of Fire,” “Walk the Line” and “Whole Lotta Shakin’ Goin’ On.” Here's what local reviewers are saying about this rockin' show, which stars Tyler Hunter as Presley, Scott Moreau as Cash, John Countryman as Lewis and James Barry as Perkins. Take a look, and then grab your tickets to see Million Dollar Quartet, which plays Boston through October 20.